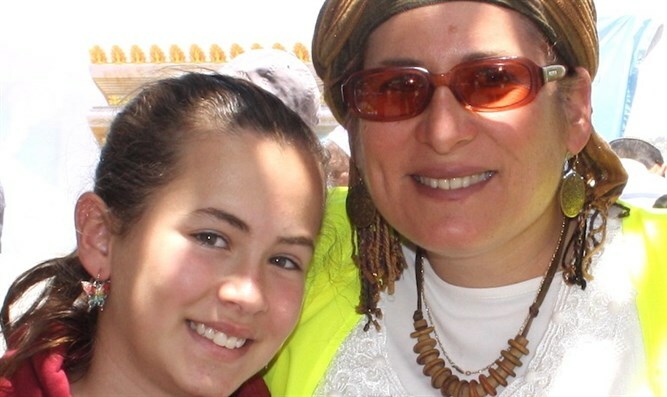 Mother of slain teen Hallel Ariel expresses outrage that the Hebrew University gives a scholarship to those who support terror. Rina Ariel expressed outrage in light of a publication in Yisrael Hayom according to which the Hebrew University is allowing students to volunteer at the Center for the Defense of the Individual in exchange for a scholarship. “We are in shock. Everything that strengthens the terrorists and their families is horrible. I don’t understand the rationale of the Hebrew University,” said Rina Ariel, mother of Hallel Ariel who was killed by a terrorist. Ariel’s statement was in light of an advertisement in Yisrael Hayom which stated that Hebrew University students are allowed to volunteer at The Center for Defense of the Individual in exchange for a NIS 1,000 scholarship which is funded by foreign organizations and in exchange for academic credit.